The Eagles rank 24th in the league with nine interceptions. They play the Redskins in Week 17. The Eagles have forced three turnovers in back-to-back games. They play the Texans in Week 16. Analysis: The Eagles have been battered in the secondary all season, but they beat the odds and shut down the high-powered Rams offense in Week 15, holding them to just 23 points. Texans QB Deshaun Watson can feast on the vulnerable secondary and has done a better job protecting the ball of late, throwing just two picks in the last eight weeks. Still, the Eagles showed some grit and are still alive in the playoff hunt, so their recent success makes them a viable option in deeper formats. The Eagles rank 25th in the NFL in total defense by allowing 384 YPG entering their Week 15 matchup with the Rams. CB Jalen Mills is dealing with a foot injury ahead of Week 14's game versus the Cowboys. 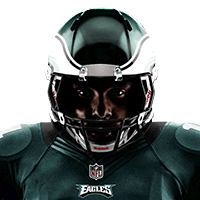 The Eagles have allowed over 126 rushing yards in each of their last three games. They play the Redskins in Week 13. The Eagles have allowed just one turnover in the last four games. They play the Giants in Week 12. 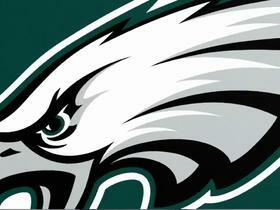 The Eagles rank third in the league with just 12 passing touchdowns allowed. They play the Saints in Week 11. The Eagles have held five of their last six opponents under 300 passing yards. They play the Cowboys in Week 10. 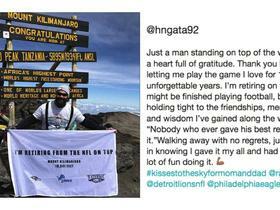 Philadelphia Eagles defensive tackle Haloti Ngata announces his retirement on top of Mount Kilimanjaro. 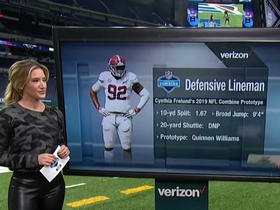 NFL Network's Cynthia Frelund reveals the ideal interior-lineman prototype in the 2019 draft. 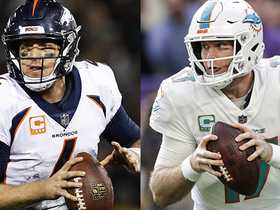 NFL Network's Steve Wyche and Maurice Jones-Drew highlight players they believe could use a fresh start with a new team in 2019. 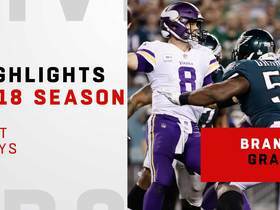 Watch all of Philadelphia Eagles defensive end Brandon Graham's best plays from the 2018 NFL season. 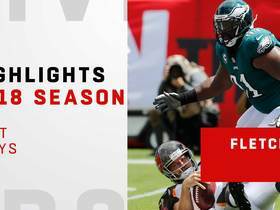 Philadelphia Eagles defensive tackle Fletcher Cox's best plays in the 2018 season. 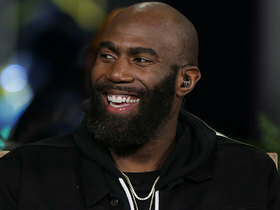 Philadelphia Eagles safety Malcolm Jenkins shares about his experience as co-founder of the Players Coalition. 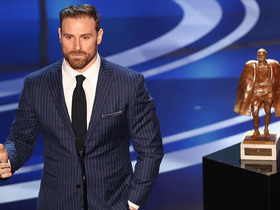 Philadelphia Eagles safety Malcolm Jenkins responds to reports about quarterback Carson Wentz. 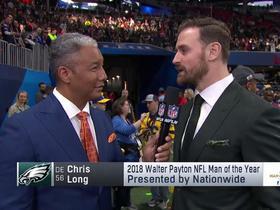 NFL Network's Tom Pelissero previews how the Philadelphia Eagles defense is preparing to contain the Chicago Bears offense.